Who says running errands or shopping can’t be fun; not anyone who has ever combined the trip with a stop at a nearby winery. 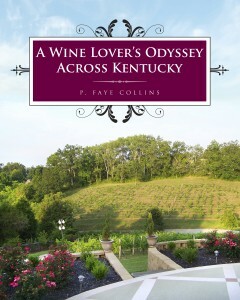 Many of Kentucky’s winery’s are conveniently located and make a spur of the moment stop a way to brighten any day. April was one of those months when we had a lot of things to do. The Whole Foods store in Lexington has become one of our regular shopping spots. The store offers a wide line of many healthy choices and many hard to find varieties. As a plus, just minutes away is The Winery at Fayette Mall. Chrisman Mill Vineyards has a tasting room in the front of the Mall near the southern end. A glass of wine (or two) is a perfect way to follow-up shopping for healthy foods, after all wine can be healthy too. Beef cattle farmers are familiar with a trip to a butcher shop. With one located near New Castle, our visit there was a perfect time to fit in a stop at Smith-Berry Vineyards and Winery. A glass of red wine pairs as well with a trip to pick up some beef as it does with that steak dinner. Living in Northern Kentucky, any trip can easily include a trip to one of our favorite wineries; Brianza Gardens and Winery is so close to home that a visit to our local Kroger, our family doctor, or even our grandson’s basketball games can be followed by a relaxing glass of wine. Being an efficient and inventive person, I’m always looking for a way to make life more enjoyable. All wine lovers should look for a way to visit a winery to brighten up their day.